Iowa, Louisiana and Arkansas are among the states where clinics are closing. But Arkansas isn't the only state where just one clinic is still operating amid heightened restrictions. Seven states now have only one abortion clinic: West Virginia, Kentucky, Mississippi, North Dakota, South Dakota, Wyoming and Arkansas, thanks to the Supreme Court's decision not to reverse the lower court’s ruling there. That means women seeking abortions may need to drive hours to be able to access care. The Guttmacher Institute, a reproductive rights research group that was initially formed under Planned Parenthood but has been operating separately for years, tracks the number of abortion clinics. It hasn't released data for all states since 2014, but policy analysts were able to share information on some of the states where a significant number of abortion facilities have closed. Planned Parenthood is fighting the Arkansas law that bans medical abortions, which are administered in pill form and don't require women to undergo a surgical abortion. The two Planned Parenthood clinics in the state –- in Fayetteville and Little Rock –- offered only medical abortions, so when an earlier court ruling to ban them was bounced back by the Supreme Court, that left only one private clinic, Little Rock Family Planning, offering surgical abortions. A new law in Iowa, the so-called “heartbeat bill” signed by the state’s Republican governor in May, is widely viewed as the nation's most restrictive abortion law. 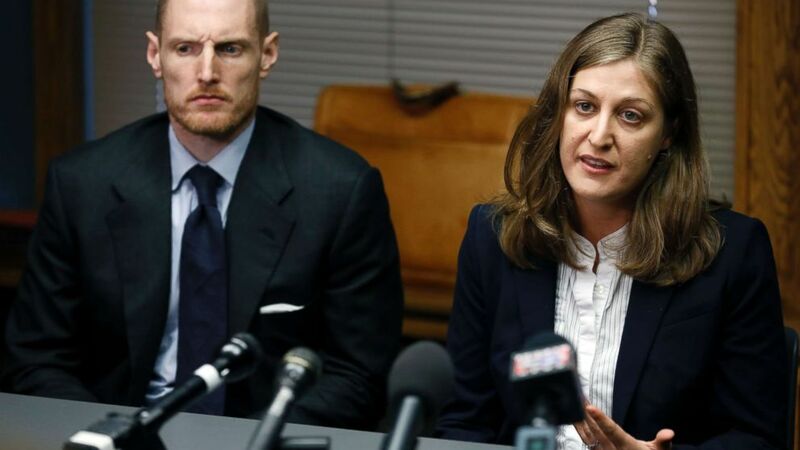 (Charlie Neibergall/AP, FILE) Rita Bettis, right, American Civil Liberties Union of Iowa Legal Director, speaks during a news conference as Emma Goldman Clinic attorney Sam Jones, left, looks on, June 1, 2018, in Des Moines, Iowa. A judge says he'll temporarily block the most restrictive abortion law in the country from taking effect in Iowa next month. The decision comes under an agreement between lawyers for the state and abortion rights groups that filed a lawsuit challenging the law. “That all changed in 2016,” Davison-Rippey told ABC News. "A majority of anti-women’s health, anti-reproductive rights legislators came into power and since that time, we have had just an absolute barrage of anti-women’s health, anti-abortion legislation." “If we're right about abortion, that abortion takes the life of an innocent human being at its earliest and most vulnerable stage of life … then any time a facility shuts down that specializes in aborting those lives, that’s something we celebrate,” he added. That sentiment is shared by Cheryl Sullenger. She pleaded guilty and served more than two years in prison for bombing an abortion clinic in California in 1987, according to the Los Angeles Times. Now she is the senior vice president of Operation Rescue, a group that touts the "investigations" it conducts of abortion clinics across the country. 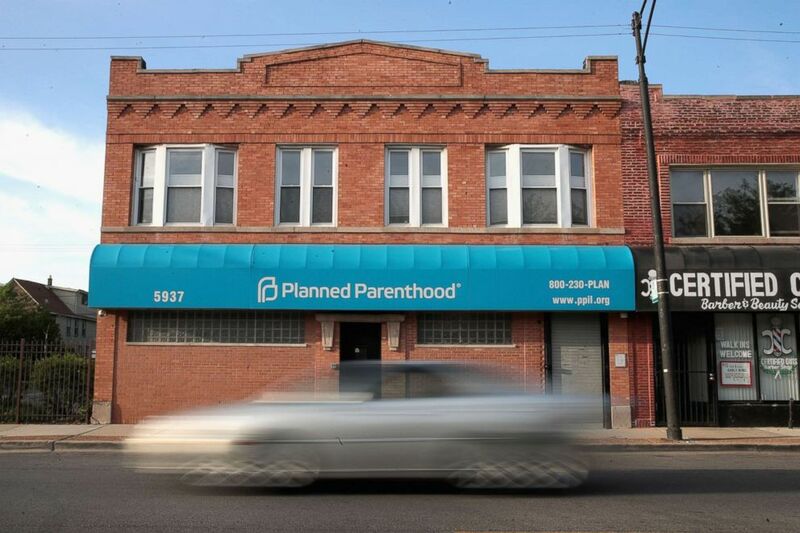 (Scott Olson/Getty Images, FILE) A motorist passes a Planned Parenthood clinic, May 18, 2018, in Chicago, Illinois. “There’s a sense that the Justice Department and solicitor general will be less hostile to any court challenges, and related to that, there's an anticipation that the courts, through Trump appointees, are becoming more sympathetic,” he said. “It’s an attitude change in this administration over previous administrations, so we're very, very encouraged by that, but we don’t think as though we've won everything yet,” she said. “Unfortunately, we’ve seen restrictions on access to safe, legal abortions before. That’s nothing new. The Trump-Pence administration has essentially poured kerosene on that fire and we've seen state politicians looking to enact more extreme policies as a result,” Wells said.